Whoops! Back to the website. 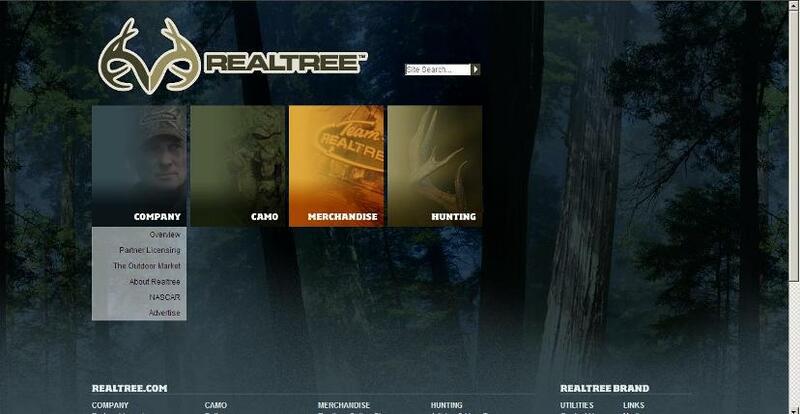 Customers for Realtree is beyond the average hunter who buys one or two garments a year. It’s also the widget manufacturer that wants its piece of the $10+ billion industry and is willing to give Realtree a royalty-bearing piece of their business in exchange for use of their well-recognized patterns. They too want to learn about Realtree on a site that’s easy to use! This entry was posted on Monday, August 2nd, 2010 at 9:08 pm	and tagged with Bill Jordan, Hunting Gear, Realtree and posted in 2010, Product Reviews, Uncategorized. You can follow any responses to this entry through the RSS 2.0 feed.